Your Excellency, the issue of the Local Government controversy in Rivers State seems to be a burning one. Can you tell us the genesis of the problem? We understand the previous administration of Hon Rotimi Amaechi changed the notice required to hold elections from the constitutionally provided 90 days to 14 days, and then purported to hold the elections on May 23, 2015. We also understand that the Federal High Court nullified that election, whilst the National Industrial Court ordered the reinstatement of the Local Government Chairmen. Since then, there seems to be a never ending bevy of litigation. Who is filing these incessant court processes in respect of the same subject-matter? Does this not amount to an abuse of court process? What is the position now? Who is running the Local Governments and when are you going to hold elections? Sometime in 2015, before the expiration of the Rotimi Amaechi administration, his Government through the Rivers State Independent Election Commission (RISEC), gave notice that Local Government elections will be held. 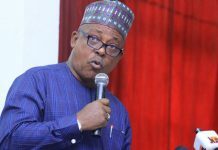 The PDP as a party, looked at the notice and noted that RISEC did not comply with the provisions of the Electoral Act with regards to the length of notice and some of the requirements of the law. We, the PDP, went to court to challenge the holding of that election. That suit was filed at the Federal High Court, Port Harcourt. It was before the then Administrative Chief Judge of the Federal High Court, Port Harcourt, Hon Justice Akanbi Lambo. 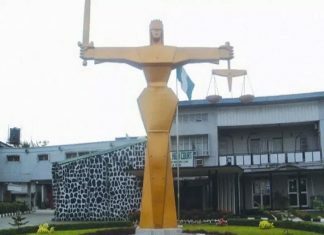 While the matter was pending before the Court, the Court directed that no party to the suit should do anything that would foist a state of helplessness on the court. He gave an order that the status quo should be maintained, pending the determination of that suit. The Amaechi Government contemptuously disregarded the proceedings in Court and the order that the status quo be maintained, and purportedly held what they called Local Government election on May 23, 2015 â€“ five days to the end of the administration. So, we went back to court, to set aside the purported election. The court agreed that, the conduct of the purported election during the pendency of the suit was an affront. The Court set aside the purported election. People thought that the first thing I should I have done when we came on board on May 29 2015, was to dissolve the Local Governments. I said â€˜No, I cannot dissolve an elected government, whether it is legal or illegal. Whether it was in compliance with the law or not, let it pass through the normal courtsâ€™. So, when the court nullified that election, we then set up Caretaker Committees. Now, the APC candidates who claimed that they won the purported Local Government Council Elections, applied to the Court of Appeal for leave to appeal. We opposed the application, but the Court ruled against us. We then filed an appeal to the Supreme Court, against the Ruling granting the APC candidates leave to appeal. The matter comes up at the Supreme Court in January, 2018. It was therefore, surprising to us, that the APC as a party again applied to the same Court of Appeal for leave to appeal in a matter that is pending at the Supreme Court. They came up again, that there is a different issue. Our lawyers called their attention to the fact that, these are the same parties and the same issues have come up again. Of course, they were hell-bent on going on with the matter. So the PDP filed a petition against the Presiding Justice, Gumel. 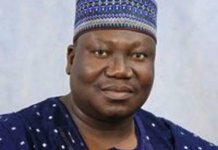 The reason being that, Justice Gumel who was the one that sat over the National Assembly Appeal Panel that nullified all the PDP Senatorial and House of Assembly seats, was now posted here to be the Presiding Justice! Then the way he was conducting the matter, it was obvious that something was wrong. We said â€˜No, you should recuse yourself from this matter. There are five other Justicesâ€™. Then what we saw was a Special Panel. But, the lawyers also drew their attention to this. However, the matter was adjourned sine die, pending when the Supreme Court will determine the appeal. One week thereafter, another hearing notice came up! Another Special Panel! We asked â€˜what is going on? !â€™ Well, we thank God, the Special Panel said the matter was wrongly placed on the cause list and that they believed so. You can see the impunity that is going on! Today, we are willing to conduct elections. But, because of the appeal at the Supreme Court, we want to obey the Supreme Court. We want to allow the processes, and we want the matters to be sorted out at the Apex Court. So, now we have Caretaker Committees. But we believe that by the grace of God, we hope we will have elected Chairmen by May next year, at the latest. We should have elected chairmen who will superintend over the affairs of the various Local Government Councils. That is the position. Of course, it is APC that is filing all the frivolous processes. I have never seen that type of thing in my life. But that is where we are. Nigerians viewed a video clip of an unfortunate incident that occurred between the convoy of the former Governor of Rivers State, Hon Rotimi Amaechi, and yours a few Saturdays ago. It appears to have further worsened the fragile peace that Rivers State has experienced of recent, and now, the State seems to be on the boil again. What exactly transpired that day? Why does there seem to be so much controversy between PDP and APC in Rivers? How can these political differences be resolved in the interest of your people? People are complaining that politics in Rivers, seems to be a do or die affair between you and the former Governor. Is this true? Certainly, that cannot be true. It all depends on which angle you are looking at it from. First of all, I will not say that what happened last Saturday, has affected the relative peace we are enjoying in Rivers State. There is very much peace and calm in the State. However, people donâ€™t understand that all through my experience in democracy, I have never experienced this type of impunity which I am seeing today. So, he used his vehicle and knocked down the outrider. Then the occupants of the other vehicles that were following the outrider, alighted. They didnâ€™t also know that it was him (Amaechi). It was when the outrider stood up from the ground, and approached the vehicle which had tinted glass that he discovered that it was the former Governor, who then drove off. When I got to the scene, Amaechi had already gone. It was the SARS people that I then confronted. Because he had over 50 SARS and military people. So, one of them came out and cocked his gun, and I asked him â€˜so what do you intend to do?â€™ my security agents had to hold him down, and they took his rifle from him. I told them take him to SARS, and I continued with the inspection of the projects. By Sunday morning, the Police had issued a statement that what we are saying is not correct. Without investigation! I can’t understand! Of course, in their usual way, they will write a fake report and submit it to do whatever they want to do. It happened when they withdrew my security aides. So, I have been shouting to Nigerians, that â€˜look, if we are not careful, the Police will derail Nigerian democracyâ€™. That is what is going on. A Commissioner of Police in the State, it didnâ€™t occur to you to call the Governor to say â€˜I heard what happened!â€™ but what he did, was to go and issue statements. That is the situation. On the issue of politics being a do or die affair, it is not a do or die affair for me. People just donâ€™t understand that, when you are out of power, you are out of power! This thinking that â€˜oh, I am still thereâ€™, should stop. The constitution says four years tenure, subject to another four years, if your people allow you. The moment you are serving your 7th year, you should know that you are on your way out. But, some people want to cling to power. That is why they want to install anybody by all means, so that they can still be presiding over the affairs of the State, through a surrogate. So, for me politics is not a do or die affair. Rather, it is for those who have left office and still believe they are still in charge, that Rivers State is their personal property. They want to direct whatever happens in Rivers State. Why is it not happening in other States? Why?! Have there not been Governors in other States before? But, they believe they have served their own term, and given way. If you want to win election, prepare for the next election. This is a State, where a former Governor will come with a number of military personnel that even the President does not go around with. Who is pursuing who? I, as the Governor, do not even have one military personnel. There are no soldiers in my convoy. I am not interested. But Amaechi comes to the State, and he comes with over 50 SARS, 50 soldiers etc, and people begin to wonder what is going on. Just to tell people that you are still relevant, because you are at the Federal level. For us, politics is not a do or die affair. You must not cling to power by all means. By hook or by crook, they want to get back to power, and people are saying â€˜It is not by force. We should be the ones to decide whether you can come back or notâ€™. In any case Amaechi cannot run for another election, as far as Governorship is concerned. Because the law does not allow you to do more than two terms. But, if you want to bring in another person to be Governor, let the person comeÂ and talk to the people, that he wants to be Governor of the State. That is where we are. On the part of the PDP, why should they see it as do or die? I was a Minister, and I never did that. The only thing I know is that, whenever I was coming home, the Commissioner of Police would send one patrol Toyota Hilux to meet me. The moment I am led home, that was the end of it. 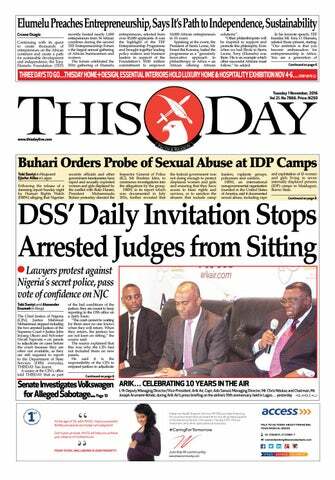 But for Amaechi, from beginning to the end of his visit, it is Military and SARS! What informed Your Excellencyâ€™s opinion that the â€˜mysterious dollarsâ€™ found in Osborne Towers, Lagos belongs to Rivers State? We know because our energy assets were sold for $309m. We know! When we looked at the records, the money was taken from Access Bank to a Bureau de Change. We got our own report, that the money was part of that money. This is where they kept the money. Why is it that, up till now, they have submitted their report, but nobody knows the contents of the report? They have sacked the NIA DG, they have removed Babachir. What does that mean? Did you tell us actually who kept the money? It is not a question of mysterious. We are still convinced. Even the Vice-President, did he invite us to come and substantiate our claims? He never invited us. That is what we are talking about. They know the truth, but if they come out to say it, it will embarrass the Government. All these ones they are sacking, are just sacrificial lambs. That is the truth. Why is Port Harcourt Airport in such a horrible state? Is it an indictment on the previous administration? Because even if you say the airport is under FAAN, and Rivers is a PDP State under an APC Federal Government, the previous administration for most part, was a PDP one under a PDP Federal Government. Why was something not done before and now, under this administration? Well, I do know that the contract for the airport was awarded under the PDP administration, but it was not completed. And part of the campaign against President Jonathan, was that he refused to complete that airport. The leader of that campaign, was the Minister of Transport. So, one expected that one of the first things he should have done for Rivers State as a priority, is to let his Rivers people know that within one year in office as Minister of Transport, this is what I have done. But it has been almost three years, and nothing is happening. It is not only the airport. Is there any federal infrastructure in this State today? Just mention one! Government is not based on whether a State supported you or not. Rivers is an oil producing State, and Nigeria gets its oil from Rivers State. Therefore, I donâ€™t need to support you, but Rivers State is entitled to get development, because, the money comes from here. We pay our taxes. Businesses are done here, and they pay their withholding taxes. So, it is immaterial whether the State voted for you or not. You can see what is happening here. I donâ€™t even want to talk about the roads. Look at the road leading to the Oil and Gas Free Zone. Go and see the road leading to the biggest fertiliser factory in Africa, nothing to write home about. Yet those who are serving the Federal Government, who claim they are from this State, can change the face of the place within one year, but they have done nothing. Next year is an electioneering year, anybody coming to tell you â€˜we will turn around and do this and this if you vote for usâ€™. What about 2015, 2016 and 2017? What did you do in those years? So, it is only if they vote for you in 2019 that you can do something? It doesnâ€™t make sense. thereâ€™? You ought to have shown an example, and let the people believe in you. So, frankly speaking, there is no Federal Government presence in Rivers State. I know they will come with promises, but our people will not listen to those promises. Because those are promises, that will never be fulfilled. The Niger Delta Avengers have threatened to start bombing oil installations. What steps have you taken to douse the tension? You see, first of all, before we had the last crisis and attacks on oil installations, nothing had happened in the State. Because we were very careful, we engaged them and we were talking with them. The Federal Government never one day came up to say â€˜Rivers State, we commend youâ€™. For everything that was happening during that period, we never had any attack on oil installations in this State. Never! We were spending huge amounts on logistics and everything. Now, these boys have issued a threat again. But we are engaging them, talking with them and making them understand, that it will not be in the interest of all of us, if they attack oil installations again. We will continue to dialogue with them, and with the Federal Government. That is what we are doing, and that is what weâ€™ll continue to do, and we have succeeded this far. The Federal Government has not involved us. But, we cannot just sit and fold our hands and watch things go bad, because it will affect us and it will affect our revenue. We won’t be able to pay salaries, and we won’t be able to carry out infrastructural development. I donâ€™t think that it is necessary, and I donâ€™t think any responsible government would give that kind of support. Yes, they have their legitimate grievances, but I think there is a need for us to sit down, and look at the situation generally. Your Excellency, seeing and experiencing the pollution here today in your office firsthand, with the black soot that covered the conference table, what really is happening? What is the Government doing to clean up the environment? You can see that itâ€™s a serious matter. Serious in the sense that you have all the oil majors in this State. Of course, you have the illegal bunkering. There is the destruction of those illegal refineries by security agencies, and there are other environmental factors. I am happy that you have just experienced some of it here. Sometimes, if you remove your slippers and look at your feet, you will ask yourself â€˜hey where is this coming from?â€™ it is as bad as that. What we are trying to do, is to stop those involved in the burning of tires. We have instructed the task force, to go and arrest them. But that may not totally solve the problem, as the problem has to do with oil pollution. That is the major problem. But we have no control over oil refining. It is not within the purview of the State. That is the more reason, why the Federal Government has to come to our State and see what we are talking about. Pollution is not only when you see oil on the waters. No! You can imagine this. You are in your room and you see this black soot. You can imagine what we are going through. The Federal Government should come to our aid, irrespective of the political party that we belong to. But what moves have you made, to bring this issue of pollution before the Federal Government? There is nothing that we have ever done, that the Federal Government has ever supported! There is no move I have not made. Even on the issue of my police security. Because, everything has been politicised. Development has been politicised. â€˜You are not with us. You are not one of those who comes to kneel down before us.â€™ So they have abandoned our State, but we cannot abandon ourselves. What is the security situation in Rivers as of today? Is it just the detractors that are claiming that the security situation has declined since you assumed office? 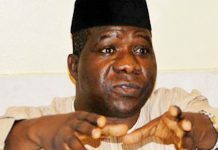 That kidnapping and armed robbery are back on the rise, as the undesirable elements that terrorised the State before the previous administration assumed office were chased away, but are now back in town. Is there any truth to this allegation? There is certainly no truth to this allegation. We all know that before we came on board, there was so much insecurity in the State. People forget that while they were Governor here, the Chairman of Rivers State Independent Electoral Commission was kidnapped! Such a personality was kidnapped under the last administration. So many prominent people were killed, while that administration was in office. So many things happened here. When we came on board, of course, we faced insecurity. But as we speak, if you go out in the night, see Port Harcourt at night as at today and compare with then. Obviously, businesses were affected, but now businesses have been returning. You can’t even get parking space at night. Everywhere people are partying. If there was insecurity, why will people come out at night? Of course, you know one thing about people, once they hear insecurity, nobody will go out. But because the place is now calm, you now see people moving about in the night. People now feel safer! The President of the Full Gospel Businessmen Fellowship of Nigeria came today and said â€˜look I came and I can say authoritatively, that this place is calm and quietâ€™. How many international conferences and workshops, have been hosted here? In fact, Rivers State is going to host the entire West Africa Wrestling Association competition here, in February. So many professional bodies now want to come to Rivers State to hold conferences. Just last week, the Nigerian Institute of Architects held their conference here. It was hosted last year and this year, back to back. The Nigerian Guild of Editors, held their conference here last year and this year, back to back. What does it tell you? A State of insecurity and people are coming here to hold conferences? I can tell you one major insecurity that we have. It is the politicisation of crime. When you have some people who have committed crimes, and they think that because they belong to a political party, police will not do anything about them. Because those persons seem to be close to somebody in authority. I give you an example, what the Commissioner of Police did. I was away, and a boy was arrested for Indian hemp trafficking and charged to court. The CP wanted to transfer the Divisional Police Officer (DPO), because the person arrested is close to the Minister of Transport. That is what we are seeing. So, if you commit a crime and you are related to that person (Minister of Transport) no, you shouldnâ€™t be charged to court. That is politicisation of crime. If you are in this political party, police can arrest you. If you are in the other political party, police cannot arrest you. That is how far we have gone. Secondly, you have a Commissioner of Police, who is not giving me support the way I am giving them support. I donâ€™t know of any State, which has funded the police and security agencies more than Rivers State. None! They will tell you that Rivers State has been quite supportive, but at the end of the day, everything is politicised. So, I believe youâ€™ll have time to go out tonight, and ask people around how the State is improving. I will not tell you that here, from time to time, we donâ€™t hear of one crime. That is not possible. Even in America, it’s not possible. In the western world where they have the best security equipment, crimes happen from to time. Let me tell you this, the crimes that happen in Lagos are underreported. But when it happens in Port Harcourt, it is blown out of proportion. You can imagine where a Diplomat is kidnapped or killed in Port Harcourt, you will think that the whole place has collapsed. That is the situation we find ourselves. They blow things out of proportion, and it becomes political. They want to create something out of this, and tell the world that Port Harcourt is not safe. If it’s not safe, how do they drill the oil? Did the military stay with them to drill oil? If they can say it’s safe for them to drill oil, why can’t they make it safe for the common citizens? Security is not under my control. The CP is not under my control. I can’t give them directives on what to do. What problem does your State Government have with the Special Anti-Robbery Squad (SARS)? We understand that SARS was evicted from their Command at the Obio-Akpor International Market. Though the reason given for their eviction is purportedly to carry out renovations on the building, some seem to believe that the real reason is that the relationship between the State Government and SARS is now strained, due to your accusations of election malpractice against SARS. Let me start with the issue of SARS. I have no personal problem with SARS, as an agency of the police. The problem we have, is that people have ulterior motives. We have seen the role of SARS since we came on board. Let me tell you, the head of SARS is somebody I know very well. He is a police officer who has served in this place for years. In 2015, he was transferred after the election, because of his role. When we started the rerun, they brought him back! I wrote to the Inspector-General of Police and said, â€˜this particular police officer, I know him. This man will compromise our security architecture. Send some other person. By putting this man here, except you donâ€™t want to fight insecurity. But if you really want to fight insecurity, we donâ€™t need this type of character hereâ€™. Of course, you know how they react to such. That it is not politics. I told the IG that I know this character. In fact, the money we gave him before to refurbish some armoured vehicles, he took them and ran away! Well, the IG said, nobody should tell him who to post and who not to post. But the person they posted to Rivers State, is the person they want to use to rig the election in 2019! They think that all we want, is just to get him out. No. We just want the world to know that we are not the ones causing problems. I told him that we have seen what this man intends to do, and our people will resist it. And in the course of resisting it there may be violence. When violence comes, you can’t say this is the one causing the violence. So, why not do the right thing so that there will be no violence? What is our problem? We are talking about the Head, who has compromised that agency for a political purpose. He is not solving the problem of security. Secondly, they were given quit notice, because nobody is comfortable any longer. Why have they not brought out the Report on how they went to rob somebody, and the IGâ€™s own team had to kill one of them? Why are they sweeping it under the carpet? There is nothing you want to tell the IG about SARS, that he will listen, because they have a predetermined mind of what they want to do in 2019. For us, this is no problem. But we have let the world know. We have told the world that, since this is their hit-man for that election, we will not allow him! People are feeling â€˜well, you are feeling uncomfortableâ€™. Well, we are feeling uncomfortable, because he is going to cause crisis, and we donâ€™t want crisis in our State. If you say no, you donâ€™t want it, then whatever that comes out, donâ€™t blame our people. As an agency of government, we donâ€™t have any problem with them. But you can imagine what happened during the election, at the collation centre. It was caught on video. The police and the military came out to say he is not their officer, until the video came out. They are deceiving Nigerians and they are telling people stories? The other day, Edo people said they didn’t want the CP. Did they not change the CP? They changed the CP, because it’s an APC State and he wasnâ€™t working according to what they wanted. So they had to change him. But here we have a SARS Commander, who is not even up to a CP rank, and the IG is finding it difficult to change him. Is that why you evicted them? I did not evict them. The State Government never evicted them. The property is the property of a Local Government. It’s not our property. If I had where I gave to SARS, I could take some other action. But I donâ€™t have where I gave to them. All police stations are built by the Federal Government. Where they built the international market, was not a police station. The Local Government Council built that international market. And then they wanted a Police Post in the market, to regulate the activities of the market. That was the essence of it. So, if the Local Government gave them quit notice, it was probably due to their conduct. Donâ€™t they have the right? If you have a tenant who is embarrassing you, and who is not solving the problem of living in harmony with other good tenants, what do you do? The Chairman of the Local Government has not briefed me. It was the Attorney-General who told me what he read in the papers, and briefed me. But I can tell you that, they have the right to evict them, because it is their property. Mind you, it is not as if the people donâ€™t want security. But when you are no loner serving the interest of the people you are protecting, what do you want them to do? SARS are even involved in taking peopleâ€™s land. That is the same thing here! If two people are fighting over land, this other party will go and connive with SARS and sell the land to SARS and they will buy. Then they go and harass the other party. What kind of system is that? If your vehicle is stolen, and they recover the vehicle, they will not call the owner, but they will use it as their official vehicle. These are the kind of things that we find in this place. People are saying its politics: that they came here to rig elections. You rig elections, when you have the people on ground. If you donâ€™t have the people on ground, how do you intend to rig the elections? There will only be violence. You donâ€™t have the people on ground, to make it work, and you will bring the security agencies. They will come with guns and of course, they will kill some people, but some people will resist it. And in resisting it, it might lead to some unpleasant results. People should talk about the attitude of the Head of SARS. It is not that Rivers State people are afraid of SARS. No! We have the capacity to confront them. But these are not the best options. Let the authorities know on time. I am sure the authorities, they are happy that they have a good boy on ground, who at the appropriate time, will try to manipulate the process in 2019. But, we are watching. We will wait and see how it will materialise. What would you say that your Administration has achieved so far, especially in terms of the Legal Sector? What are your goals for the next 2 years? First of all, let me thank God. Sometimes it is not good to roll out all the things you have done. People call me and tell me â€˜I live in so and so place. I have seen all things you have doneâ€™. And I will say â€˜where is that? I didnâ€™t know you live thereâ€™. Sometimes someone will call me to thank me and say â€˜I live in this place, this school was dead, but now it is aliveâ€™. I donâ€™t understand how we behave in this country. People forget. Before we came on board, there was no court sitting anywhere in Rivers State for two years. Because the then Governor, felt that the person who was recommended by the National Judicial Council (NJC) for the office of Chief Judge was not his (Amaechiâ€™s) preferred nominee. It has nothing to do with your preferred nominee. The law is very clear. She was the most senior judge, and should have been appointed. Even if not appointed, she should have been made the Acting Chief Judge. That is what the Constitution says. 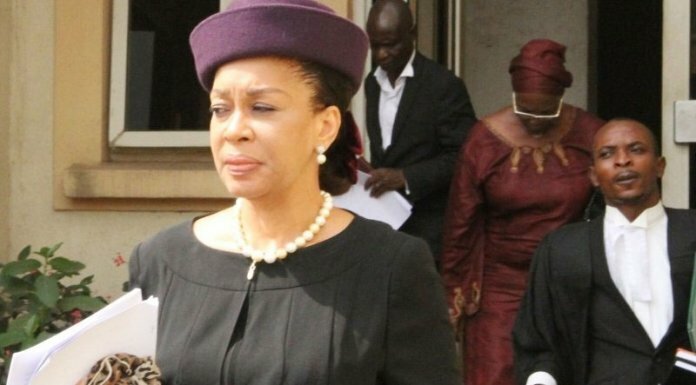 But, the Rivers State Judicial Service Commission (JSC) sent her name to NJC. NJC did not just wake up one day and take her name. So, because of that, they shut down the Courts. The Magistrate Courts were not working! The High Courts were not working. Imagine a State where there is no court, businesses will collapse and there will be anarchy. So, none at all? Magistratesâ€™ or High Courts? Not one! Nigerians acted as if they didnâ€™t know. But, when we came on board, we didnâ€™t hesitate. We were sworn in on a Friday, and I made my appointment that same day. On Monday, we inaugurated a woman as Acting Chief Judge, and took steps to ensure that NJC confirmed her as the substantive Chief Judge, and she worked and retired. We didnâ€™t waste time, we went ahead and appointed the most senior judge to succeed her, and she is not from Rivers State. All her career, her service has been here. So, why will I now say she is not from Rivers State and shouldnâ€™t be the CJ? The Judiciary is back on track, which was not the case before. The Judiciary before, was like begging the Executive for everything they want. As we sit today, it is independent. Rivers State is the capital of the South-South. Therefore, we decided that Rivers State, should be the regional hub for the entire South-South, in judicial activities. We went further to look at the Federal High Court. After Lagos, it is Port Harcourt in terms of litigation and commercial activities. We have oil and gas, and you know what that means. But look at that Federal High Court, how can they function effectively? So, we wrote to the Chief Judge of the Federal High Court and said that we are willing to build a new Federal High Court, and to the glory of God we have done that. We have handed the new Federal High Court building over to them. We didnâ€™t have an Industrial Court. In fact, the National Industrial Court was to be in Bayelsa, but 80 % of their cases are from Port Harcourt. So, we wrote to the President of National Industrial Court, and they said if we can, we should go ahead. Today, by the grace of God, we are building the National Industrial Court here, about 5 floors. I believe that by January or February, 2018, it will be completed. Go to the Court of Appeal today. Before now, it was something else. It was a no-go area. But today, we have turned it around. For us, its our happiness that we are making the Judiciary, functional. Itâ€™s a different institution. It should be strengthened, not weakened. Today, the Chief Judge of Rivers State can attest to the fact that, the Chief Justice of Nigeria (CJN) came here to flag off the Judge’s Quarters. It’s not that the judges will retire and go. No. As you retire, it becomes your house. This is to give them hope. These are the things which we are doing, to improve the justice sector. We have set up a Committee, to review all our laws, since this State was created. You can imagine a situation, where we were still using old and archaic laws. It was in our tenure, that we domesticated the Administration of Criminal Justice Act. It was not done by the previousÂ administration. The Child Rights Act, has also been domesticated. So, we have done quite a lot in the legal sector. These are silent achievements that we have recorded in the justice sector, that people will not understand, that helps to move the administration forward. So, as far as the Judiciary is concerned, we can beat our chest to say â€˜look, in this area, as an arm of government, we have been able to give them what they deserveâ€™. They donâ€™t beg us for anything, when the allocations come. The CJ can attest to this. Go to the library today. The Courtâ€™s library has been computerised. For us, in the next one or two years, we will continue to create infrastructure. We will continue to create services for our people, without relenting. I hardly stay in the office. I am always on the road. For me, you must supervise and monitor projects, and how they are carried out. You can’t say you are doing a road, and your Commissioner comes and tells you they are working. It is important that you physically visit the site of ongoing projects. We donâ€™t just say we want to carry out a project, when the funding is not there. We award jobs when we have the political will, and we know that the funding is there. We can’t award jobs that will tomorrow turn out to be abandoned projects. Most of the projects today that we have almost completed or that are still on-going, were awarded by the previous administration. We felt â€˜look, this is public funds.â€™ Take for example the Trans Amadi Road, about 20 or so kilometres that the previous administration awarded to Reynolds Construction Company (RCC) for N47b. This was awarded since 2009. Eight years now, it has not been completed. Since we came in, RCC has been collecting N1b from us every month. And to the glory of God, the road will be completed at the end of December, 2017. But when you finish the road tomorrow, they will say â€˜oh, we did 90%â€™. How could you have done 90%, for a road you awarded in 2009 and we are in 2017? Eight years, and we are paying N1b every month. Calculate it, for the past two years, N24b and they said they had done 90%? You have not even done 30%. But, this is where we find ourselves. These are key areas for us. Infrastructure, Health, Education, are all key areas for us. On the 24th of this month, I am going to the Rivers State University of Science and Technology. The Faculty of Environmental Sciences, the building has been there for over 17 years since it was started. When I came in I said â€˜No, we cannot allow things to be like thisâ€™. I had to release N1b to them. They have now finished the buildings, and they will be commissioned soon. You will be surprised that the Rivers State University, formerly Rivers State University of Science and Technology, does not have a Medical College. So, our children who want to read medicine will be competing with others in Federal Universities. Immediately we came on board, our goal was to establish a medical school, which has been approved. If you go there, the structures are being put in place fast. We have almost completed the Teaching Hospital, with the latest medical facilities. In terms of Education, we donâ€™t just believe in putting up new structures. We came in and met that the former administration did not take their N2.8b counterpart funding to UBEC, in order to access the Federal Governmentâ€™s N2.8b. As I resumed, I paid that N2.8b, and that has led to the N5.6b which we used in the renovation of 188 primary schools, which have also been furnished. It’s not a question of you going to build a school of N4b. What do you need it for? We have so many good old schools, that only require renovation and provision of basic infrastructure. We have seen somebody demolish schools, when you have not even started the new ones. Go all over the place and youâ€™ll see school buildings, all bush! You awarded jobs to build 400 schools, and you finished only 120. Who is going to complete the other 300 schools? How do you award contracts that way? Of course, they were getting money. A lot of money. They were getting over N25b in a month. The highest I have received is N9b. Compare N9b and N25b; they are a far cry away from each other. Look at the foreign exchange rate then and now. I also didnâ€™t tell you about the NBA Building. The NBA was at the High Court building. The Attorney-General said â€˜why not talk with NBA, move them out and get a better place for them?â€™ I want to let you know that we partnered with them, and we worked together. The NBA is now situated in a better ultra-modern building. Yes, Your Excellency. I have visited the NBA Building. Unlike many of our public/office buildings in Nigeria, I was pleasantly surprised, to see that the Building is also equipped with a functioning elevator which, I of course, made use of. In the next one year, I want to assure you that, God willing, we will complete every project we started. The South South-South, South-East, and even the South-West Governors met recently in Lagos on the major issue of Restructuring or Redistribution. Were you able to come to a consensus? What resolutions did you pass? How did you agree that Nigeria should be should be restructured constitutionally and otherwise? Well, I donâ€™t want to let the cat out of the bag yet. That was our inaugural meeting. The second meeting will be taking place in Port Harcourt sometime soon, when the Chairman gives a date. But in principle, we believe in restructuring, but I cannot give you details now. We are working out the modalities of that restructuring. What you must understand, is that we are all in one. For instance, the issue of revenue allocation is very clear. For example, some States collect VAT, yet alcohol is not sold in their State. Does it make sense? So, why do you collect what you know is not sold in your area? Look at the VAT that is collected in Lagos and Port Harcourt? Those things are not convenient. Even the percentage of allocation, is not convenient to us. We are talking about true Federalism. Look, all of us from the South- South States, have agreed that we are going for total restructuring; total federalism. We are concerned with fiscal federalism. We are all for it. We will soon take a final position. But that is the direction we are heading. Under the last administration, the Governorsâ€™ Forum was vibrant and vocal. But it seems to have lost relevance and lost its voice. Why have Your Excellencies suddenly become silent and dormant under the present dispensation? It all has to do with leadership. With all due respect, the present Governorsâ€™ Forum you have, they are all talking about party. They are not talking about the interest of the various States, irrespective of the political party. For example, my security details were withdrawn, and the Governors forum didnâ€™t say anything. It suited them and the party they belong to, because it was to the advantage of their political party. But, that is not the way it ought to be, because it could be your own turn tomorrow. They never spoke out to say â€˜you can’t do this to a Governor!â€™ No statement condemning the action was ever issued. Obviously, people will not be committed to the Forum. Everything is not about money. Other crucial issues that affect governance, that affect the States, must be addressed by the Forum. But, because it could affect the interest of their party, they all kept quiet. So what is the essence of the Forum? After all, they were all at that time, challenging Jonathanâ€™s administration. â€˜No we canâ€™t accept this, we can’t accept that.â€™ So, what is happening today? It is the leadership. But for me, when I see that things are not moving on well in the right direction, I do not pretend to myself. It tells you that, things are not moving on well in this country. Governors Forum ought to be a check. But, that is not what it is today. As a former Minister of Education, kindly, give us your take on the recent rating of law faculties across the country, where only the University of Lagos Law Faculty has full accreditation. What does this portend for the future of legal education in Nigeria? The education crisis that Kaduna State is facing with its teachers, what is the position with the teachers in Rivers State? Of course, the teachers in Rivers State cannot say they have any problems. When I came on board, the former administration, a week to the end of their tenure, hurriedly employed over 13,000 teachers. Ordinarily, I would have said â€˜No, you can’t do thisâ€™. Even though there were anomalies in the employment, there are ways to go about some of these things. But assuming we overlook that, nothing stopped them from, by way of standards, sending them for trainingÂ and retraining in batches. Taking this large chunk out of the workforce, can be devastating. Therefore, couldnâ€™t they have done it in a way that it may not be seen to be political? So many factors should have been taken into consideration. When you talk about legal education, the faculties of law that donâ€™t have full accreditation means that you donâ€™t have the required manpower to carry out legal education. Let us face reality. Let’s leave sentiments. The truth of the matter is that, so many law faculties ought to be closed down. That is the truth! When I became Governor, I went to the Faculty of Law of the Rivers State University. The Faculty of Law building, which they started since 1979/80, I had put in money to finish that project. Today, they have one of the best auditoriums. I put in an e-library, moot courts and everything. Of course, you talk about lecturers. You know most of the lecturers, are not really up there. For you to lecture in a Law Faculty, at least you must have a Masters Degree. A lot of our people, who have those qualifications, may not have that interest in teaching. That you have LL.M, does not mean you may want to teach. In the UK, when I went on a tour, in one of the technical colleges, we found that you cannot teach in that college even if you are an engineer. What they do is that, â€˜yes, you are an engineer, where have you worked?â€™ so, you donâ€™t have the practical experience. That is a vocational education set up. Even if you have worked, they send you for training in education. To have the education, is a different thing. To impart the knowledge, is a different thing. So, I asked them â€˜so, what happens?â€™ they said they have to go for training for six months, before they are allowed to teach in that school. But here, it is automatic. Here, even when you have a PhD, it doesnâ€™t mean you can lecture. You must have that passion and commitment. If you ask our parents, they will tell you they had the passion. But now, people take up teaching because there are no jobs. So, when they get another job, they leave. That affects the quality. When I was Minister of Education, I went on inspections. What I saw was appalling. No teachers. In fact, I went to a school where one teacher was taking Mathematics from JSS1 to SSS3! They wereÂ using School Certificate people as contract staff. If you check the grades of some of those School Certificates, some of them are even pass. So, I made a memo to Mr. President, and said â€˜we can’t talk about quality of education. You said you have money in UBEC earmarked for education. What is the money doing here?â€™ So, he approved for the employment of 100,000 teachers. That wasnâ€™t enough, but something was done. Out of those who applied, only a few of them had qualifications in education. So, it means that they applied, because there were no jobs. It means while they were teaching, they would be looking out for other jobs elsewhere. It is that bad. So, we cannot continue to talk about the quality of education, where you donâ€™t have the right manpower, you donâ€™t have the right facilities. If only one law faculty in the entire country has full accreditation, then something is fundamentally wrong. In fact, Rivers State University wrote to me to say they need lecturers and I asked them â€˜is it on part- time basis?â€™ they said no, and I approved. Government should focus on â€˜what are the incentives for teachers?â€™ If the incentives are not there, they won’t focus on teaching. When I was Minister, I found many PhD holders with political appointments, and I jokingly asked some of them why they are not in the Universities lecturing. Everybody wants a political appointment. They prefer to take up appointments in government circles. If we donâ€™t de- emphasise this, it will be a problem. If today, teachers are well paid, it will turn around several things. It is unfortunate. Have you had any problems with Fulani cattlemen in Rivers State? Well, we have had about two instances, where some communities were going to have problems with Fulani people. We tried to intervene quite early, nip it in the bud, so that it wonâ€™t escalate. That is why today, you won’t see Fulani Herdsmen killing our people. Again, we try to let people know, that we must operate within the law. You see, we are farmers here. We donâ€™t expect that your cow willÂ enter someoneâ€™s farm, and begin to destroy the crops. Nobody will take it. I have spoken to them, and luckily we have not had any major crisis. There has been some understanding. Have you made any plans to maybe to have your own Anti- Grazing Law? Let me tell you one thing. People should know their environment. We have been having herdsmen before. Herdsmen donâ€™t go to peopleâ€™s farms. There are areas where those grasses grow. If you clear a land now, in the next one month, you will see the grasses growing back. Those areas you donâ€™t farm. Maybe they are kept for building or other projects. You will see these cows going there to graze. We have not had any report, where they have destroyed peopleâ€™s crops. So, I am not particularly considering making any laws, because we donâ€™t have that problem for now. But, maybe, in future. I donâ€™t pray that we have that problem. But if it comes up, we will do whatever is necessary at that given time to quell it. Your Excellency has of recent, been commanding quite a lot of attention on the global scene, delivering lectures and engaging international soccer legends. What is the importance of these engagements and how have they paid off for Rivers State? Let me start with the soccer thing. For me, everything has to do with investment. We are talking about engaging the youths. Part of engaging the youths, is something they should be doing, a profession they should be preparing for. You know football today, is one of the most viable things in terms of foreign earnings. So, we went to Real Madrid to see whether we can partner with them, to bring their academy, to help bring up our youths. Not just football, but to make them grow. That in principle, we have agreed, and then, in fact, as I am speaking with you, we are expecting a letter from them, so that we can engage. If that happens, it will be a good thing for the country. We want to actualise the potentials of our youths. The award in New York? Speaking frankly, these things encourage you more. In fact, I was not aware of it. It was somebody who saw the advertisement online and brought it to my attention, and said â€˜why notÂ apply?â€™ I said â€˜I donâ€™t think we should bother ourselvesâ€™. But the pressure became so much. I turned to the Commissioner of Information and Communication, who was then the Commissioner of Housing. So, I said to him â€˜finish filling this document online and send it to themâ€™. After a month or thereafter, I got a letter that they have seen what we have done, and that we are doing what we are supposed to do. In the case of Chatham House, they came here to submit a Corruption Index Report. The Attorney-General was with me that day. There were three of them that came, and they said they were also going to Enugu to submit the same Report to the Governor of Enugu State. Thereafter, they invited me to come and speak and I asked them what topic. They said I should choose my topic. I chose a topic and they rejected it and they chose their own topic. â€œDefining Development in Rivers State and Steps for Sustainable implementationâ€. They gave us the topic. I didnâ€™t go there to lobby for it. They came here on their own, with a letter inviting me. But, it became an opportunity for people to know Rivers very well. At the event, a former High Commissioner to Nigeria was there, and so many other important people, who may have heard some good and positive things about Rivers State. We also had a meeting with a business group that is talking about businesses, about investors. We have an investment forum with them in January, 2018, to come and talk with investors here. We had a meeting with the Financial Times of London. These are the kind of things we are doing, to sell Rivers State to the outside world. Some of the news they hear, are not correct. So, we need to get them to come here and see things for themselves. Many investors have been sending us letters that they want to come to Rivers State, to come and invest. As I speak with you, I saw it in the papers yesterday where New Telegraph Newspapers are giving me an award as Man of the Year. People are watching what we are doing. the dividends of democracy. No one man can do it alone, without the support of the people around him. I am happy that I have such people. Are there any business incentives in Rivers State? Yes, it is very clear that there are many business incentives in Rivers. One of the incentives is to reduce tax for the investors. We have taken steps to deal with the issue of multiple taxation. We are giving tax holidays. We are also taking steps to make it easier for investors to get land in Rivers State, and reducing documentation processes. The last administration, for eight years, signed only three hundred certificates of occupancy. Now I have signed over 1,200, in less than three years that we have been in office. I have asked the Permanent Secretary, to go and publish the advertisement in newspapers. Why are we doing this? Certificate of Occupancy (C-of-O) is what enables investors to have access to land. If it is difficult for them to have them, it will be difficult for them to also have funds, because of bank collaterals. Before, it used to take over six months for people to obtain C-of-O, but since the inception of my administration, we have reduced it to one month. Before now, thousands of people didnâ€™t pay their ground rent. But now, you can see the rush. For me, these are incentives we are providing. Also, people who want to go into agricultural projects in the State, Government is ready to help with land acquisition. We are removing all hurdles, for people who want to do business in Rivers State. This will create jobs for our youths. Your Excellency, thank you very much.